It’s been a few weeks since Kawhi Leonard was traded by the Spurs for DeMar DeRozan, but the blockbuster trade remains a major topic of conversation across the league. 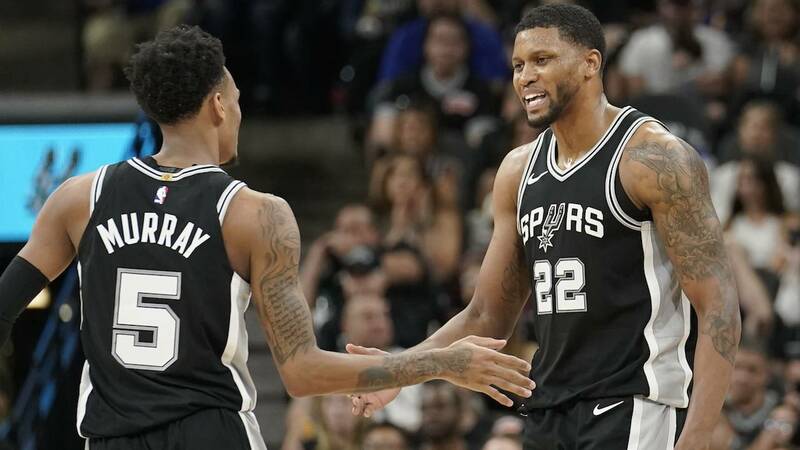 While appearing on the Hartford Courant’s UConn Insider podcast to reflect on his basketball career, Spurs forward Rudy Gay shared some insight on how the front offices for the Spurs and Toronto Raptors operated prior to the Leonard-DeRozan deal. Gay, who is set to begin his second season in San Antonio, was traded by the Raptors to the Sacramento Kings during the 2013 regular season. DeRozan and Gay are also close friends. In his first season with San Antonio, the veteran forward averaged 11.5 points and six rebounds per game. He is expected to contribute more this season after the Spurs parted ways with Leonard. Gay said he’s happy to be in a winning situation, no matter what his role is. He called the Spurs “a machine” and said that at the end of the day, much like the Golden State situation, it’s just about winning.